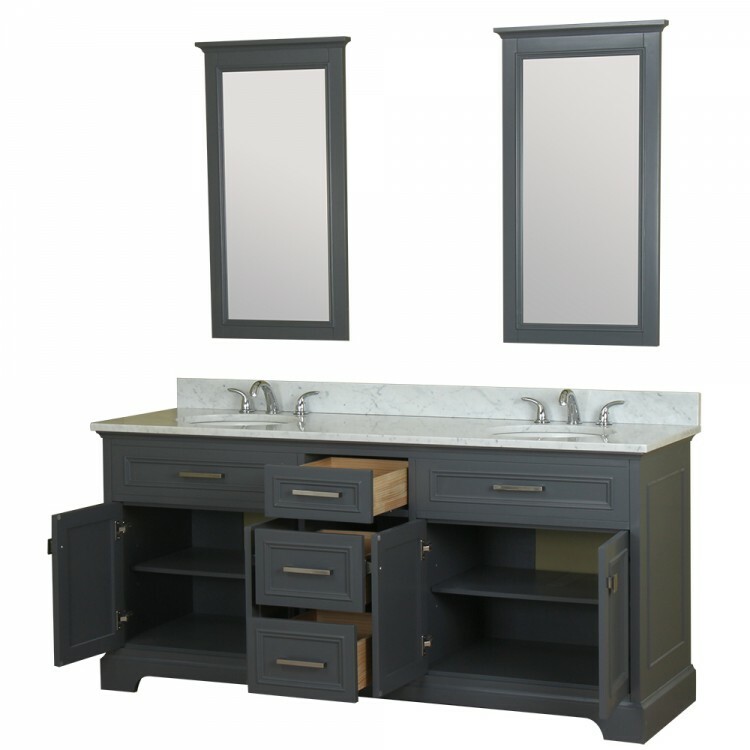 The Yorkshire 73" double sink bathroom vanity in grey finish is beautifully crafted and built to last. 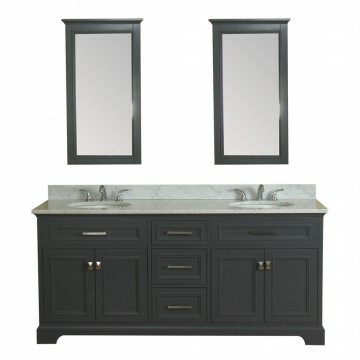 Unique construction of solid hardwood vanity comes fully assembled with the high quality marble countertop and undermount ceramic sink attached. 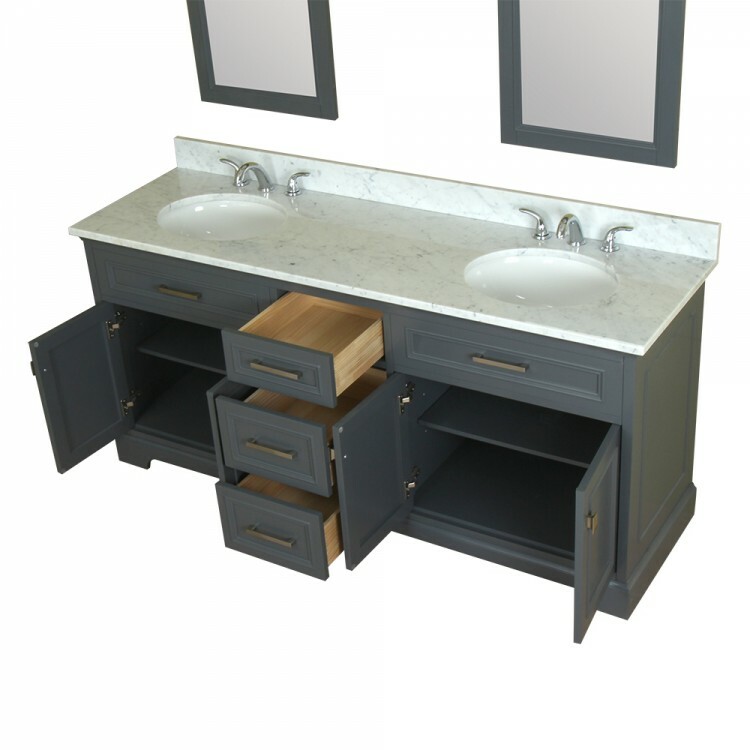 This stylish cabinet is designed to sit flush against the wall and features a full toe kick base. 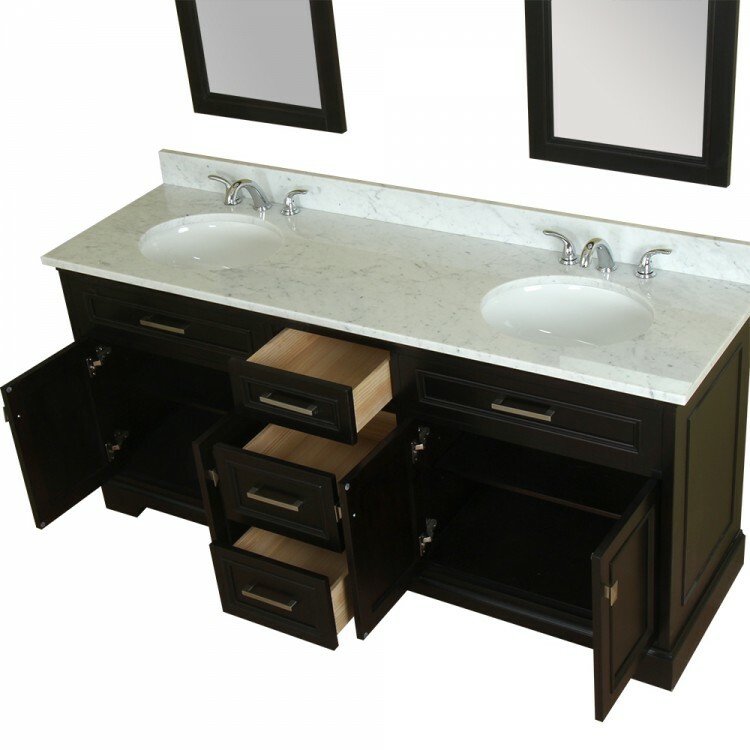 The Italian white Carrera marble top is factory pre-sealed to prevent any staining or watermarks.